Want smooth, youthful skin without undergoing surgery? Botox Cosmetic injections can diminish the appearance of wrinkles in a matter of minutes without the need for downtime. 2 How Does Botox Work? 10 How Many Units of Botox Do I Need? Botox Cosmetic is an exciting, simple, and effective treatment for the correction of your facial wrinkles in a non-surgical way, especially the forehead frown lines, crow’s feet, and the neck bands. It acts differently than body fillers since it weakens the facial muscles that cause wrinkles instead of filling them with a substance. This relaxes the skin and the wrinkles fade away. By inhibiting the frown lines we become happier, and recently 2 studies have shown that Botox treats depression better than medications. Botox works by targeting the muscles that lie below the furrowed skin. Facial expressions are made by the underlying muscles working, and when they are continuously worked the skin above begins to form wrinkles and the muscle itself can become irritated. To alleviate these conditions, Botox is injected into the underlying muscle to temporarily paralyze it and make it inactive. By doing this the muscle has a chance to relax and the skin ceases to furrow. And not only is the skin relaxed and smoothed, physical aggravations like spasms cease since the muscle isn’t overworking. A Better You Cosmetic Surgery and Laser Center offers both FDA approved injectable Botox and Dysport to fight unsightly wrinkles. Both inject the neurotoxin botulinum toxin type A. So what differentiates one from the other? The injection’s formulations. Botox injects both botulinum toxin type A as well as a concomitant protein. Dysport injects botulinum toxin type A as well as a smaller version of the same protein. Both have their merits, being pretty compatible with effectiveness, results, and price. So in order to see which would benefit you, please schedule a private consultation with Dr. Gentile. …What is “wrinklerexia”?…From Fox News: Millions of people get jabbed with Botox in hopes of maintaining a youthful look – but how much is too much? “Used properly, Botox is a fantastic cosmetic surgery treatment giving smoother, tighter and more youthful looking skin,” Liz Dale, director of The Harley said in a news release. “But like with any procedure, it’s highly unadvisable to have more done than is necessary.” The U.K.’s largest cosmetic surgery provider reports that some people are overly obsessed with getting a freeze-frame face. As a result, the Harley Medical Group has announced that its surgeons are trying to curb the use of the anti-wrinkle product by recommending smaller doses — and even says some doctors are turning away patients who demand injections they don’t need. If you abuse Botox and have too many injections in one session you may notice that your treatment is less effective and therefore your facial muscles are still working. This Botox failure is due to developing antibodies and occurs in patients that receive too much Botox. Did you know that there are over a million doctors who perform injections in the US and very few are qualified as they training may have consisted only of a wekend course? You can learn more and check Dr. Herve Gentile as an expert injector on expertinjector.org. Candidates for a Botox treatment are men and women who are bother by wrinkles, mild skin laxity, excessive sweating, experience migraines, neck spasms, or have a gummy smile. It is important to understand its limitations though. Botox is not a substitute for standard plastic surgical procedures such as eyelid surgery, facelifts, eyebrow/forehead lifts, etc. Further, if you do not want, need, or you are unsuitable for surgery, Botox can be of benefit to you in enhancing your appearance. It can however be combined with surgical procedures or other facial treatments. Botox is especially effective when combined with soft tissue fillers and/or Microdermabrasion. The great thing about Botox is its ability to treat an array of conditions. Please feel free to schedule an in-person consultation with Dr. Gentile and see if you could benefit from any of the below treatments. Botox softening the appearance of these by injecting the neurotoxin into the underlying muscle to relax its movement temporarily. This in turn relaxes the above skin, diminishing wrinkles. 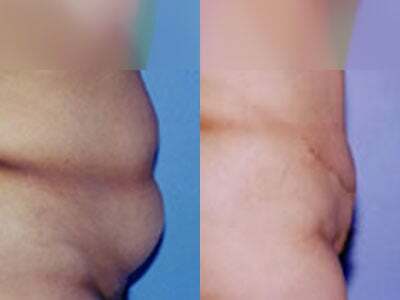 For lasting results, treatment every 3-4 months is needed. Botox is the one and only FDA approved injectable proven to relieve migraines by paralyzing your muscles. To qualify as a candidate, you must experience 15+ migraines that last 4+ hours every month. Botox generally alleviates 9 migraines a month, and can last with continuous treatments every 3 months. Botox can be used to counter a gummy smile, a condition where the upper gum becomes visible and exposed when you smile. Botox is injected into the muscle that is responsible for lifting the upper lip to relax it and in turn lower it. The results are dependent on gum visibility and the length of your lip, so please schedule an in-person consultation and Dr. Gentile will be able to determine your candidacy. Botox can also be used to alleviate neck spasms. By injecting the neurotoxin into the neck, it relaxes the muscle and prevents them from overworking; this will lessens the amount of spasms. If deodorants, creams, and medications are not fighting against your excessive sweating, Botox is the perfect alternative. Botox can be injected into the armpit to temporarily block the nerve signals that cause the sweat glands to produce sweat. This will not cause a backup of sweat, as the glands simply do not produce sweat. Lasting results require continuous treatment every 4-5 months. Botox is a great solo treatment, but results can be greatly enhanced by adding an ancillary procedure. These procedures also served as comparable alternatives, although results may not be exactly the same. Eyelid surgery is a procedure meant to create vibrant eyes by removing excess skin, fat deposits, and wrinkles around the eyes. This is a good procedure for those who wish to only address the area around the eyes. However, Botox can be used to diminish the wrinkles around the eyes that eyelid surgery does not address, such as between the brows. 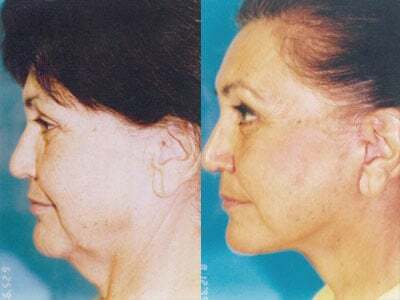 A facelift is a great procedure for those who have extensive sagging of facial skin. Facelift surgery removes drooping skin and tissue and repositions muscles to create a youthful, smooth face. Botox can be used along with a facelift to reduce brow or forehead wrinkles that a facelift does not address. During your private consultation with Botox specialist Dr. Hervè Gentile, you will have the chance to explain your desires and the cosmetic or physical concerns you have. He will then perform an examination of the problem area and assess if you could benefit from Botox injections or alternative/ancillary procedures. If he considers you to be a good candidate, he will explain the details of the treatment so you are fully aware of the whole process. If you have any questions about any part of the process, please feel free to ask. Dr. Gentile wants to ensure that you are comfortable throughout your Botox treatment process. Botox is injected into the problem area to inactivate the action of those muscles. 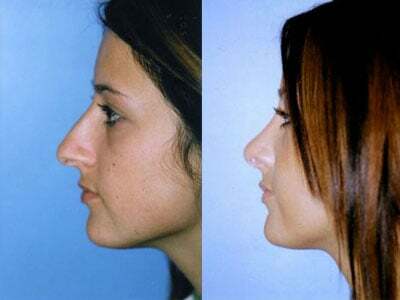 The procedure takes a few minutes and is extremely effective, but it is not permanent. The result takes several days to develop and lasts 3-6 months. Long standing skin creases will soften and temporarily disappear. The result is a more softer, relaxed and fresher look. Repeat injections to maintain your appearance will be needed less frequently as the muscles weaken from disuse. The amount of units needed will depend on your desired results, age, gender, and the area that is being treated. This number will be determined after Dr. Gentile performs an examination of your problem areas during your consultation. Following the procedure you may return to work and to all your normal activities. You should not apply any pressure to the brows or frown lines for 2 or 3 days as this can diffuse the drug to other muscles causing a temporary drooping of the eyelid. This has happened after going to your salon or to a dentist. It is therefore recommended that you do not go and have your eyebrows waxed or your hair done for 1 week. Other infrequent possible side effects include mild bruising around the eyes. The cost of your Botox treatment will depend on the amount of units used and the amount of areas you are having treated. Please feel free to schedule an in-person consultation to receive an estimate quote. Ask about specials offered from the drug companies.